Nottingham Trent University’s third generation (3G) artificial grass pitch (AGP) was unveiled at the weekend when it was used for the first time to host The Football Association’s highly successful Girls’ Football Festival. 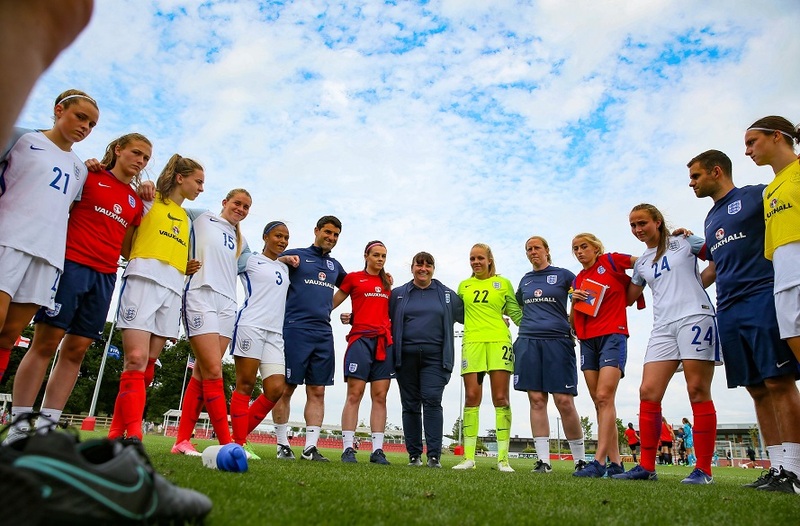 Nottingham Trent University's third generation (3G) artificial grass pitch (AGP) was unveiled at the weekend when it was used for the first time to host The Football Association’s highly successful Girls' Football Festival. Work started on the £900,000 purpose-made, floodlit 3G AGP at the Clifton Campus in September and was completed this month. On Sunday, 9 March, the Football Association made full use of the pitch's facilities which students and sports clubs will now be able to enjoy for training and matches. James Hayter, Director of Sport and Lifestyle at Nottingham Trent University, said: "This pitch is a great addition to our sport offer at the University and will allow our sports clubs, as well as those in the community, to have access to top quality facilities all year round." It is the second of this type of pitch at the campus but is the only one suitable for football and rugby with the other being used predominantly for hockey. The University secured funding from the Premier League and The FA Facilities Fund, Sport England and Rugby Football Union to pay for the majority of the new pitch's costs. And as part of its agreement with the Premier League and The FA Facilities Fund, which contributed £390,000, Nottingham Trent University is opening up the pitch to several community sports groups for training and matches. Funded by the Premier League, The FA, and the Government, via Sport England, the Premier League and The FA Facilities Fund is delivered by the Football Foundation, the country's largest sports charity. Since it was launched in 2000, the Foundation has supported more than 12,000 grassroots projects worth over £1 billion. By providing more high-quality facilities, coupled with coaching at the appropriate age group, the Premier League and The FA Facilities Fund aims to improve the experience for regular players as well as attracting new players to the game. Many of the new state-of-the-art facilities will serve to strengthen the connection between professional football clubs and their local communities, particularly in the most deprived areas of the country, through the professional clubs' community trusts' outreach work. Since 2000 the Football Foundation funding partners' investment has provided 134 grants worth £12.5m towards grassroots sports projects worth £22m across the whole of Nottinghamshire. West Bridgford Colts FC will be using the new pitch twice a week for their training sessions and the Young Elizabethan League Nottingham - a youth football league for over-fives, will use the venue for weekend competitions. 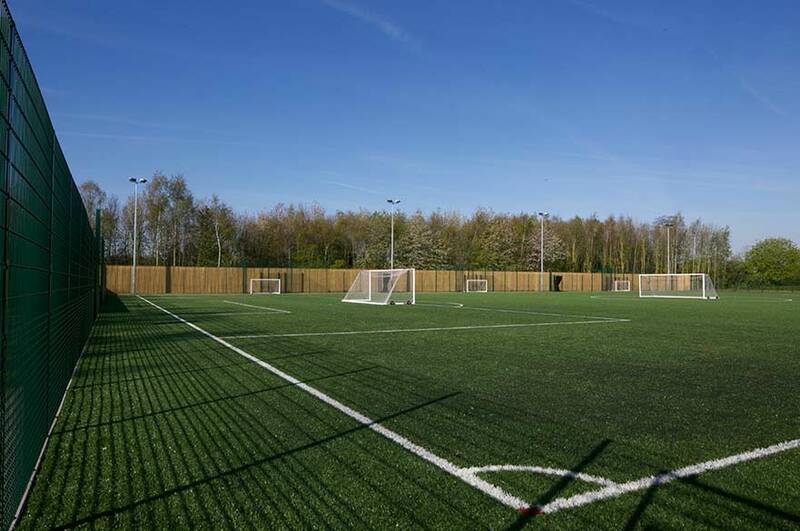 Paul Thorogood, Chief Executive of the Football Foundation, added: "This is an outstanding new 3G AGP that will benefit football and other sports in and around Nottingham. Developing new grassroots facilities, such as this, is essential to increasing the number of people who have a chance to stay fit and healthy through participating in sport. "The Football Foundation is dedicated to improving sports sites across the country with investment from our funding partners - the Premier League, The FA, and the Government, via Sport England. I congratulate Nottingham Trent University and the Nottinghamshire FA for their hard work on this project." The University is also supporting Notts County Ladies by offering them the use of the pitch for training. Nottingham Trent University was one of 38 projects awarded funding from the first round of Sport England's Improvement Fund, which invested £9.9 million of National Lottery funding into upgrading pitches and swimming pool changing rooms across the country. Charles Johnston, Property Director of Sport England which invested £300,000 towards the cost of the pitch, said: "We know people have a better experience of sport when they have good pitches to play on and our investment in Nottingham Trent University is ensuring exactly that for both the students and the local community. "By installing an artificial pitch more people will be able to enjoy sport as it can withstand much greater weekly use, keeping the natural grass pitch in top condition for competitions." The Rugby Football Union contributed £80,000 from its Lead up and Legacy Programme. Peter Shaw, the RFU Area Facilities Manager, said: "The investment will help develop the Rugby Union programme at the University broadening the offer on campus to alternatives to the contact and 15 a-side game. The facility will also serve to allow access to local partner clubs to utilise to help sustain the natural turf pitches at their club, but also allow them to access a first class facility within Nottingham."